I was quite sure, that I had everything quite well configured, and that I was using the correct certificate. 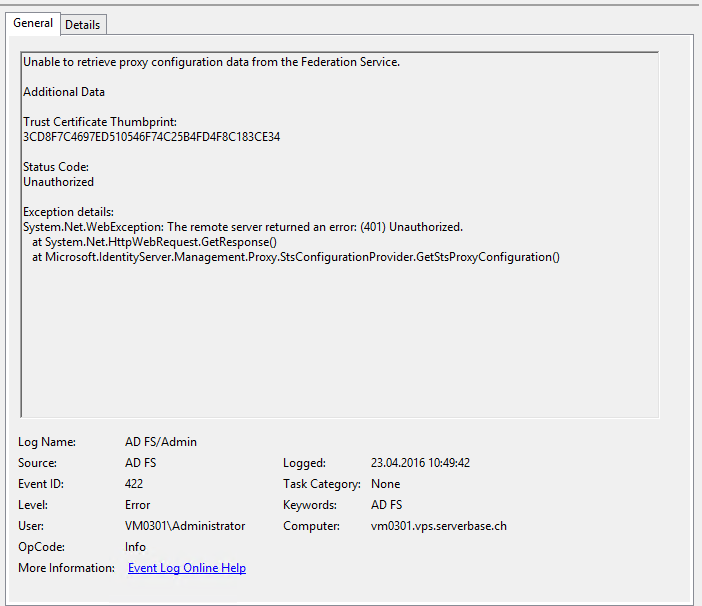 With the Error (401) Unauthorized, I thought it might be an issue with the account required to connect to the ADFS Farm, but this wasn’t the case. I found this Blog that tells to check and Enable Device Registration Service in some circumstances, but I had this feature already activated. 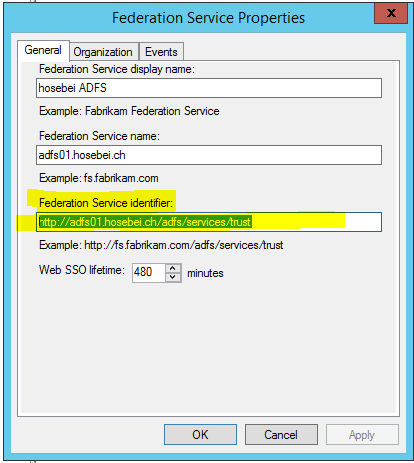 So, time to shine, because I had this Installation already up and running, and was wondering why I could not create the Trust between the Web Application Proxy and the AD FS Farm. So port 80 would be required to open to the Farm from the Proxy Servers. After I have added this rule to the Firewall, the WAP could be federated easily and worked afterwards as expected. I still wonder why this worked before, or if I have changed something on the Firewall in advance of this issue.